We knew it was Easter when we woke up this morning because that is what the calendar said. And, of course, the Easter Bunny left behind a substantial haul of little treasures. When we looked outside, however, we were sure that another popular holiday figure and his reindeer should have come instead. The ground was covered with several inches of fresh snow and the temperature was a brisk 28 degrees F. Did that deter us? Of course not. When there are chocolate eggs and jellybeans to be found, we are on the job. With the kids bundled up in their snow pants, we lumbered outside for the annual backyard Easter egg hunt. The Easter Bunny, feeling rather ambitious, hid about 50 eggs in snow-covered bushes, under the slide, and in the vegetable garden. Let’s just say that, by the time that all eggs were accounted for, we were happy to come inside to a warm plate of Hot Cross Buns. To honor my blog anniversary yesterday (see my Top 10 Recipes), my thoughtful husband and boys bought me a crepe pan and a beautiful new crepe cookbook, Crepes by Lou Seibert Pappas. By the time that our Easter dinner was said and done, we were left with the usual mass of leftover ham. The inspiration for this recipe came from the new cookbook, though I took several liberties with the flavor of the crepes and the filling. Between the Asparagus Frittata with Smoked Paprika, Thyme & Feta Cheese and Asparagus, Tomato & Feta Cheese Puff Pastry Tart, I have inundated you with asparagus recipes lately. My only excuse is that it tastes like spring and how I yearn for the mild temperatures and the joy of that season. 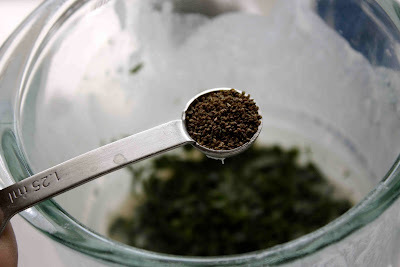 and 1/4 teaspoon celery seeds. 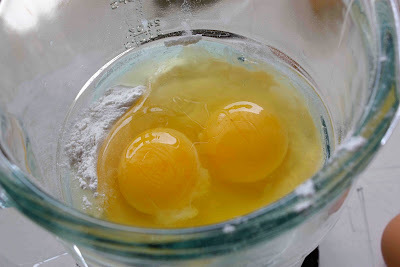 Blend together until smooth, about 15 seconds. Cover and refrigerate for at least 1 hour (and up to 24 hours). Trim the tough ends from 1 1/2 pounds asparagus, and cut diagonally into 1-inch pieces. Steam until the asparagus is just tender, 4 to 5 minutes. In a large bowl, beat 1 large egg. 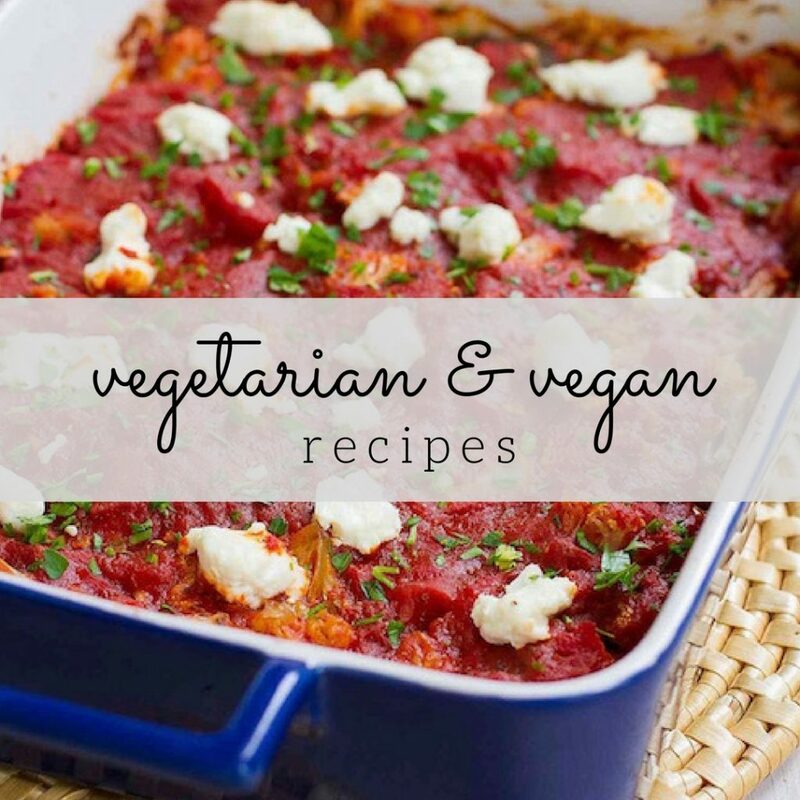 Whisk in 2/3 cup mascarpone cheese, 1/2 cup freshly grated Parmesan cheese, 2 minced cloves garlic, 1/4 cup minced flat-leaf parsley, and 1/2 teaspoon freshly ground black pepper. Stir in steamed asparagus and 4 ounces julienned country-style ham. Spray a 9- by 13-inch baking dish with cooking spray. Spread 1/2 cup of the filling down the center of each crepe. Roll up each crepe and lay them side-by-side dish. Bake until heated through, about 10 to 15 minutes. Serve immediately. In a blender, combine eggs, milk, water, flour, salt, butter, tarragon, and celery seeds. Blend together until smooth, about 15 seconds. Cover and refrigerate for at least 1 hour (and up to 24 hours). Steam the asparagus until it is just tender, 4 to 5 minutes. In a large bowl, beat egg. Whisk in mascarpone cheese, Parmesan cheese, garlic, parsley, and pepper. 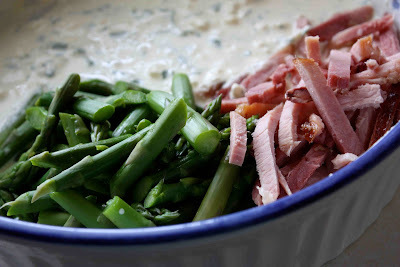 Stir in steamed asparagus and ham. Spray a 9- by 13-inch baking dish with cooking spray. Spread 1/2 cup of the filling down the center of each crepe. Roll up each crepe and lay them side-by-side dish. Bake until heated through, about 10 to 15 minutes. Serve immediately. I will pray to the grocery gods for fresh tarragon at the store next week. We have a gynormous ham and I'm collecting wonderrful recipes to use it up, thank you!!! Happy Anniversary again to your blog. You've come along way and I'm wait we found each other's blog.The crepes are fantastic and very elegant. I always am looking for green colored festive foods for the holiday, going to print this one, perfect for my brunch at work, I love the flavors in this…..great idea!! These sound fabulous! I have only ever made regular crepes! These look absolutely delicious. A great Sunday Brunch dish. I love the green color! Perfect for Spring! Gorgeous post Dara!! Love the colors and flavors going on here!! Congrats again on your anniversary. This recipe sounds delicious. I used to love crepes. Thank you for the recipe. Love that gorgeous pale green colour of the crepes – it totally jumps up and screams "spring!!!!" to me. 🙂 I'll have to remember this recipe next time I'm in a crepe-making mood. 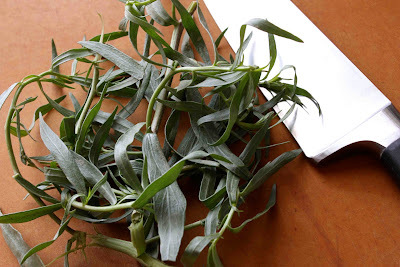 Happy anniversary – those crepes are perfect – loving the tarragon – which is already coming up in my garden. For the first time in years, we had a snowless Easter. I know about playing Christmas carols during Easter baking! These look delicious! 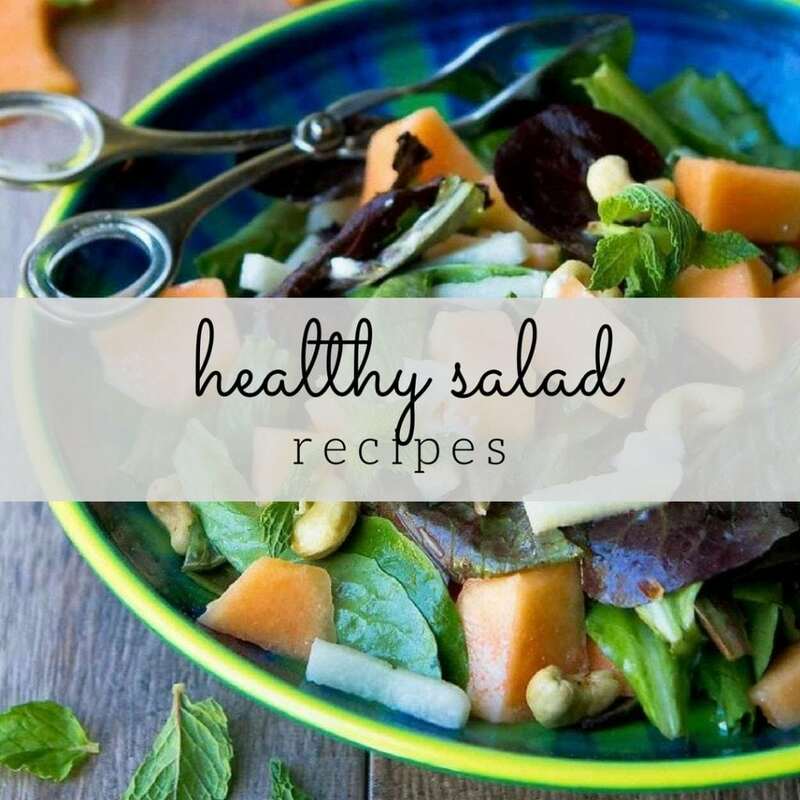 What a great springtime recipe! Oh yum. As you know, I love fresh tarragon. Personally I am OVER the snow and wish Spring would get with the program! Wow, what a wonderful savory dish! Yum! What a wonderful recipe for leftover ham! this looks great, might also try it with a chicken filling. Happy bloggie day! now i want a crepe pan too. I haven't tried to make savoury crepes yet, but defnitely going to try them soon! congrats on your blog anniversary! 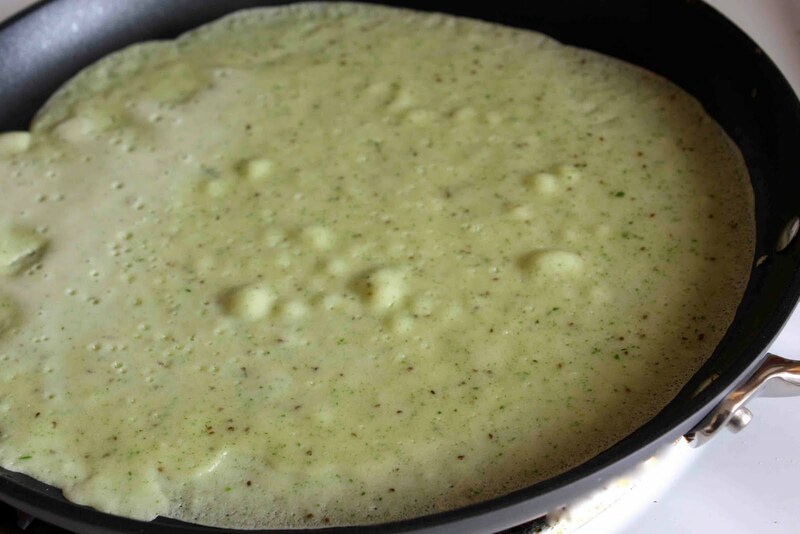 I totally need a crepe pan – those green tarragon crepes look delicious. 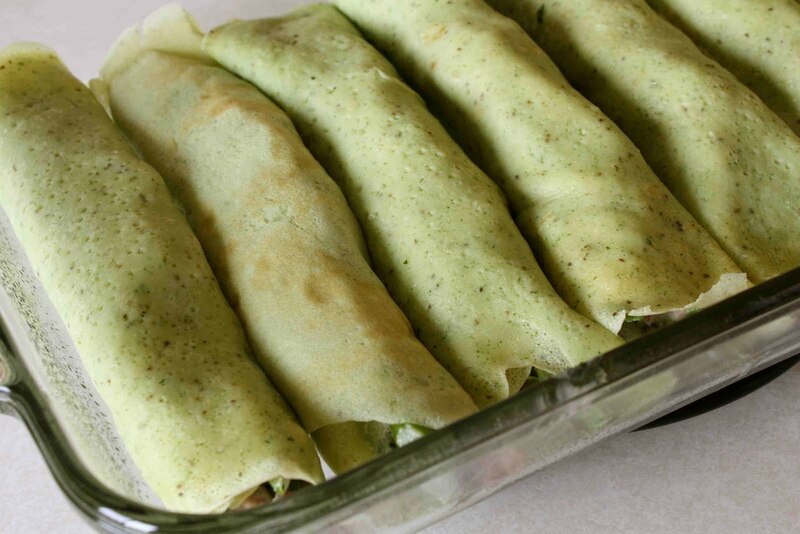 As soon as I get a crepe pan I will probably try these crepes with a chicken filling. The tarragon crepes are absolutely gorgeous, I love the lovely green color, just fabulous! Congrats on your blogoversary! oh my goodness, how divine! i wish i could have these every day! Very creative! Looks delicious and happy anniversary! These sound AMAZING and I love the color! Thanks for the shout out! I want to make these even though I don't have any ham to use up! Yum, I love the use of tarragon. Delicious! i gotta say, your crepes look amazing and professional! they are so thin and paper-like… which is truly hard to do. happy blog anniversary!! We had a foreign exchange student from France and she used to make crates all the time. I've never had them where you bake them though! 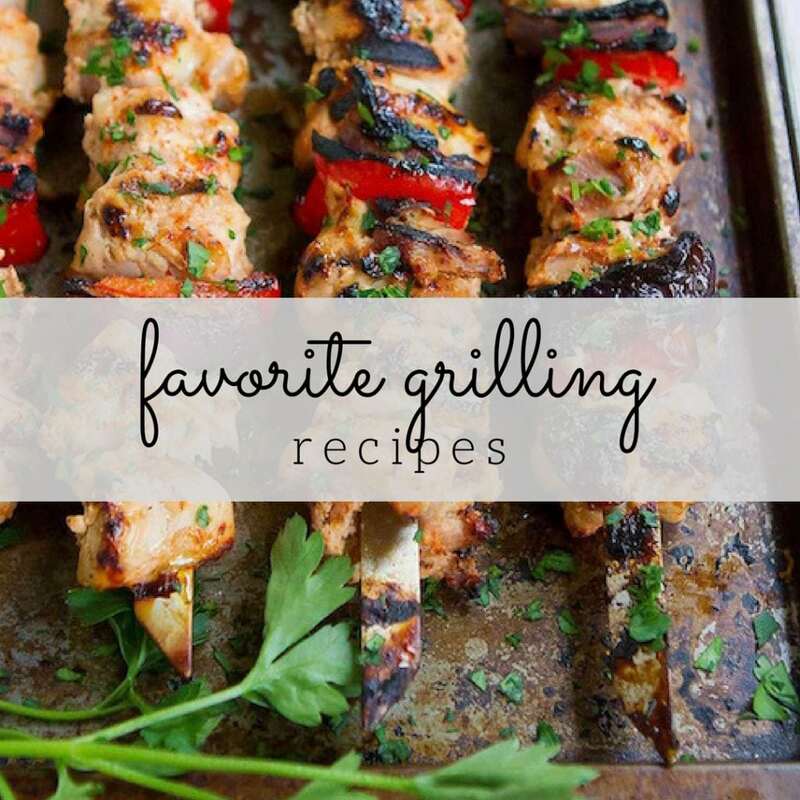 These look quite tasty – happy blogervisary! Thanks to each of you for your generous comments. This was a fun recipe to both make and eat. 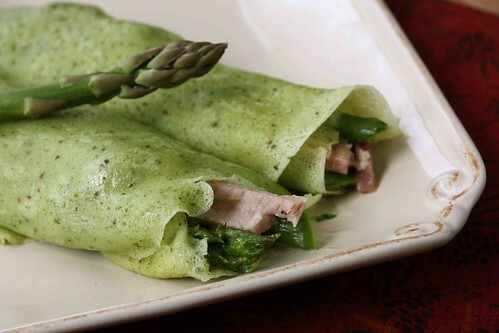 Beautiful green crepes, I have just made chives crepes that I need to post, looks like we have the same cravings! Your stuffing sounds delicious! The crepes sounds wonderful! I love the stuffing. I know it's a bit late, but I did just see this so happy anniversary. And this looks really beatufiul. Great way to use ham. Tarragon in crepes, OH MY …… YUM!!!!! !